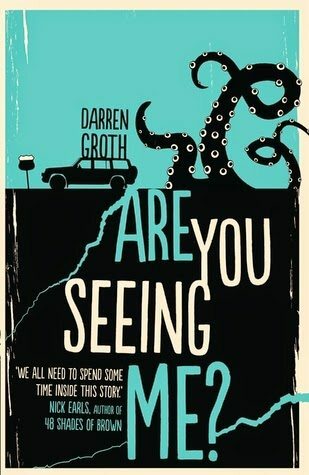 Q&A with Darren Groth (author of Are You Seeing Me?) + Giveaway! Remember how I reviewed (and flailed and raved) about Are You Seeing Me? I reviewed it. I tweeted copiously. I might’ve made some lame Canadian puns about moose and meese because why not. NOW! Do I have some serious awesomeness to share with you, peoples! The author, Darren Groth, is here for a Q&A! Aaand a giveaway! I know! I know! The awesomeness is overwhelming me too. It’s been a year since they watched their dad lose his battle with cancer. Now, at only nineteen, Justine is the sole carer for her disabled brother. But with Perry having been accepted into an assisted-living residence, their reliance on each other is set to shift. Before they go their separate ways, they’re seeking to create the perfect memory. For Justine, it’s a chance to reconcile the decision to ‘free’ her twin, to see who she is without her boyfriend, Marc – and to offer their mother the chance to atone for past wrongs. 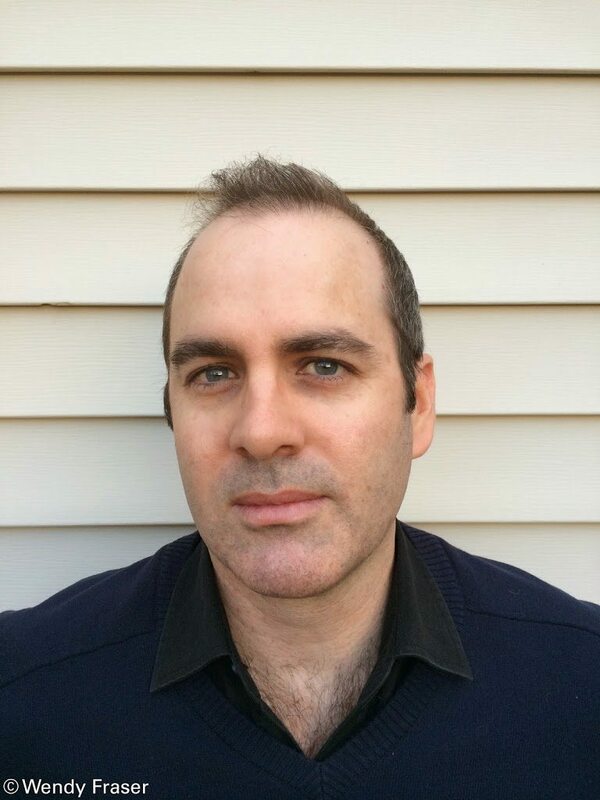 Darren is a Vancouver author and new citizen of Canada, having moved from his native Australia in 2007. His work has been published on both sides of the Pacific and has garnered significant acclaim from literary critics, writing peers and a growing readership. His novel, ‘Kindling’, was produced for North America in 2013 by prominent indie, Exciting Press; previously the paperback was sold to Hachette in 2010 and released in Australia, New Zealand and Taiwan. His 2014 work, ‘Are You Seeing Me?’, published by Random House Australia, is now available. For fun, he watches ’Game of Thrones’ with his beautiful Canadian wife and swims with his wondrous thirteen year old twins. Was Are You Seeing Me easier or harder to write than your previous books? Ah. Research. It’s a killer, right?! Do you have a favourite quote you could share with us? I too have WAY too many favourite quotes! So! What was the process behind coming up with the title of Are You Seeing Me? Did it go through any changes? It was certainly a process! During the early drafts, I went through three titles: The Mantle, Finding Fault and Master Disaster. Then my publisher suggested Are You Seeing Me? It sounded right from the get-go. I love that it has lots ofmeaning, both literally and metaphorically. And it is so awesome. Those POV was harder to write: Justine or Perry? Definitely Justine. Her voice needed the most tweaks in editing, just to make sure it was consistent and authentic. Perry was fun. There was a lot of creative freedom in putting his narrative together. How long did it take to go from first draft to published manuscript? Unfortunately, three and a half years. Following my 2010 novel Kindling, I needed a new publisher. My agents went close to getting deals for it in 2012 and 2013, both in Australia and here in North America. Then, last December, just when I was about to give up on it, Random House Australia came through with an offer. It was a massive relief. YAY FOR RANDOM HOUSE. They have excellent taste in books. And lastly! Was any chocolate harmed in the making of this novel?! Nothing beats dark chocolate, to be honest. Thanks so much for coming by, Darren! The most massive thanks to Random House for offering 3 copies of Are You Seeing Me? and some posters! – You have to say Moose Meese Moose Meese 5 times really fast. Previous Post: « Do you compare books written by the same author? Also I've never been on a road trip actually. The last time I went anywhere that wasn't necessary or not far away was last year when we took a holiday house at the beach. I've never been to Canada, but I know a whole lot of people who have been, and I know a Canadian family. That almost counts, right? I loved this interview, it was fun and quirky and I liked the direction of the questions. I have not actually heard of the author, but I'm curious to check out the book. And wow, 3 and a half years is certainly a long time, what an effort and dedication! Moose Meese Moose Meese! 😉 Haven't read Are You Seeing Me (yet!) titles are both crucial and annoying to name, BUT it sounds like it just…fits to the story, and love ones that do that, especially ones that lean towards metaphorically. NOPE. NOTING BEATS DARK CHOCOLATE. Not even other chocolate. I'm disappointed that meese was the best Canadian pun you could come up with. C'mon Cait, I thought you were better than that! 😉 I didn't realize that Darren was a fellow canuck, so thanks for giving me a new author to stalk. So great to hear the story of an author who believed in his manuscript enough to stick with it even after coming so close! I came close with a series I really believed in with a major publisher right before selling my first novel to a different publisher. It was so disheartening to get so close, then fail, but then good things came soon after! Oooh! Chocolate. I swear, if a book even MENTIONS chocolate it summons me.Oh gosh, I really want to read Are You Seeing Me? but my library system – as the case often is – doesn't have it. Pity! It sounds like the author's a super nice person and the book sounds awesome! Moose meese moose meeseMoose meese mouse meeseMus meese mus meeseMouse meese mouse meeseM m m m(Well, I don't live in Australia, so that didn't help…)Is this the surprise? Whether it is or isn't, thanks for posting the interview, Cait! I love that quote; it really sounds like Darren Groth has Justine's voice down pat. Three and a half years?!? Well, at least the perseverance paid off since your review of this book was very positive. The stellar review and interview have both made me want to read this book really badly, so it is now on my Goodreads TBR list. Last road trip- Maine, in June for a cousin's wedding. I think I may have been to Canada as a very small child. I've always wanted to go to Canada. Home of Michael Buble, Tim Hortons and Kalan Porter – the winner of one of the seasons of Canadian Idol. (Okay – so I may be slightly obsessed with Canadian Idol). I've never really been on a road trip for road trips sake. I've driven from Brisbane to Canberra and back many times but I think it misses the charm of road trips considering I just jump on the highway and drive straight though. Okay, so I totally tongue-tied myself on the Moose Meese thing… Great post, I particularly loved the interview and I'm really intrigued to read this now. I love road trip books, they have that element of helping to escape real life. My real life is pretty full on at the moment so I wouldn't mind an escape 🙂 I can't remember the last time I went on a road trip, I must remedy this! This book looks really interesting! Great interview with Darren Groth… incredibly interesting! My last road trip was a bus trip around Europe… not sure if it was really a road trip.. but it was a whole lot of fun! I've been to Canada and absolutely loved it.. can't wait to go back sometime! It's a beautiful country with wonderful people! !